Whether you're here on a business trip or looking for a weekend away, the hotel is designed to suit all your needs. 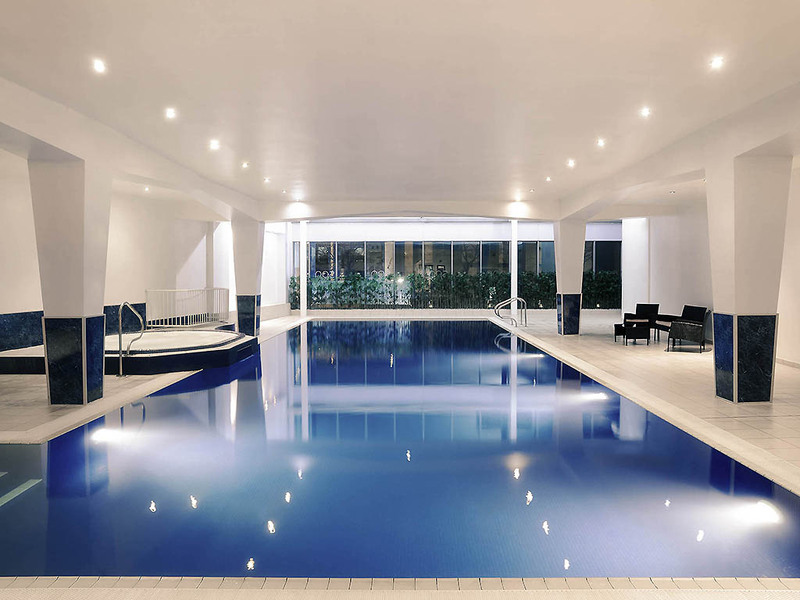 Relax and unwind in the hotel's on-site leisure facilities, including an 18-metre swimming pool, steam room and jacuzzi. The Urban Bar & Kitchen found on the first floor mixes culinary excellence with ambience, making it an ideal spot for dining. Away from the hotel, guests can explore the nearby Millenium Stadium or Cardiff Town Hall. 1. Couldn’t park at the hotel, never happened before as I have stayed here on numerous occasions. 2. Charged double at the car park even with the voucher. 3. Was made to pay again at checkin even though it was paid in full three weeks prior. 4. At the spa ( even though at booking told them my wife was pregnant) they said they would note it, and let me book a back massage, when my wife went down was told they didn’t know she was pregnant, but she could have the back massage..... not a nice experience on your side hanging on to the bed. But the facial she had was very good. Excellent, staff lovely and helpful, great location, rooms were clean and nicely furnished. Courtesy, Care, Consideration and Kindness! This was such a special occasion. My friend of over 47 years was turning 50! The Mercure Cardiff was the perfect choice for our pampering get away! The staff couldn’t have been more helpful and the special touches and thought made my friend feel like she was a VIP customer. Thank you to all the staff! It was functional for my needs, but small changes could make the stay so much better. Such as updating your towels so it doesn’t feel like you are exfoliating when you use them. The sheets and pillow cases were also very tired. Breakfast was mostly good, but although I asked for a pot of tea, I didn’t receive one. This has happened before. We had a great 3 night stay at the hotel, our room was large with a nice bathroom with a separate shower. We did have a couple of problems but they were sorted out very quickly. The hotel is only a short walk from the town centre (great selection of stores/shops) and restaurants. We came by train and took the train from Cardiff central to Queen Street and then it was a short walk to the hotel. Queen street station was v handy as we were able to take the short ride to Cardiff Bay. The hotel is on a busy road and I would suggest taking ear plugs with you if you are a light sleeper. Great selection for breakfast. We hope to return again and have more time to try the spa. Excellent stay and great price! Our room was lovely, and quite spacious for a standard room, with large floor to ceiling windows letting in lots of light. The bed was large and comfortable. Lovely bathroom, although I was surprised that only shower gel and shampoo were provided in the way of toiletries - I was expecting more given the hotel's reputation. We booked the Mercure over other hotels closer to the city centre because of the spa facilities, but I was very disappointed with the state of the pool area - I tried 4 loungers before I found one that was in a working state - most beds had broken head-reclining parts or broken struts. When we were in the pool we noticed that the pillars were very rusted at the bottom and the surroundings were generally quite tatty. We paid a reasonable £10 extra each for breakfast the following morning, which was exceptional - lots of choice from the hot and cold buffet and polite, attentive staff. The staff in general were very lovely and made us feel very welcome. Basic hotel in a city deprived of good hotels. Just about basic in every aspect. The room was in need of renovation. Bathroom was good but with very little toiletries. I only mean shampoo and shower gel for 2 people! Restaurant had nice staff but very limited menu. Breakfast was average with items running out before 10:30 on a Sunday. Easy parking and close to town. Nice food, excellent gym, filthy swimming pool! Up on the 14th floor my room was spacious and quiet. Very limited range of tv channels - felt like the 1980s. Staff friendly and helpful. Gym was brilliant but I have to say the pool was absolutely disgusting. You couldn't see more than 3 feet underwater. At my local council pool you can see from one end to the other ie more than 25m! Two members of staff deserve a special mention: I phoned up while booking online (the night before) to ask if rooms had baths. I spoke to the receptionist who told me to request it and she would ensure we had a bath rather than a shower. All sorted - and it was the same receptionist (whose name I forget) who checked us in with a special welcome on Saturday. The second is Susana in the restaurant at breakfast. My wife is having major problems with her taste at the moment (due to chemotherapy) and can drink a latte coffee, but nothing much else. She was told by someone that it was filter coffee or nothing, which really upset her (another symptom). I spoke to Susana and asked if it was possible to get a latte from the bar area - and it duly arrived without any fuss. Thank you! We will be back again - hopefully able to use the Spa facilities next time.